Five Ways to Rest What’s Your Favorite? How well do you rest? Are you a pro at taking deliberate down time, or do you struggle to keep up with all your responsibilities? I try to be good at taking time to rest, but after reading this book I realize I haven’t been deliberate enough about my rest. 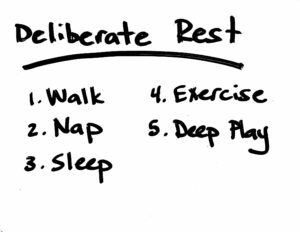 In this final post about the power of rest, based on the book Rest: How to Get More Done When You Work Less, , I say more about what it means to rest deliberately, and share five different ways to rest. Which ones are you good at? Which could you stand to improve? I also do a little reflecting on how hard it is for high school students to rest effectively, given their tight schedules and mountains of work. As summer comes to an end, I recommend challenging yourself to rest in all five of these ways — and then see how many you can continue to do once the school year starts up again. 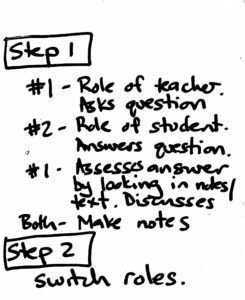 Have you been following along with my three part series on how to take notes on nonfiction book? I’m super excited because I finished my notes!!! Today I probably should have titled the video “How to Fit An Entire Nonfiction Book Onto One Page of Notes”, because that’s exactly what I was able to do. In today’s video I show you the completed note-taking chart that I created, and discuss the benefits and challenges to using this Charting Method. 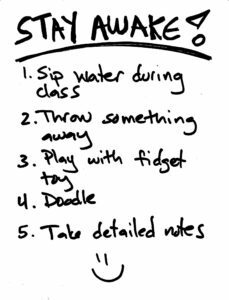 Is this a note taking process you could see yourself using from time to time? Why or why not? I’m curious! Please reply and let me know. Also, stay tuned next week when I start sharing some fun facts with you that I learned from the book Rest: How to Get More Done When You Work Less. Do you like to study with your friends, but you’re not sure how effective you are together? Or do you question how well your teen actually learns with studying with a friend? Recently a client was preparing to study for his AP World History exam with a friend, and asked me how he might study more effectively during their study session. 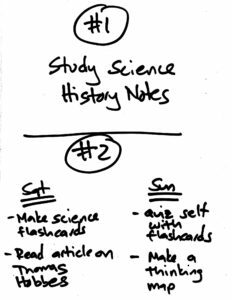 Here is a super simple format that I taught him, based on the available study guide that their teacher gave him. Check it out and see if it’d work for you too! I get super suspicious when I hear a student tell me, “There’s no possible way I can quiz myself on this material.” That’s exactly what I heard this morning when my client and I were discussing how he might study for his AP World History exam. Although it was tempting for me to wag my finger at my client and blame him for being a lazy thinker, instead I realized that he had overlooked a super straightforward way of quizzing himself. He thought quizzing needs to be fancy, with flashcards and quizlet decks and questions with answers. 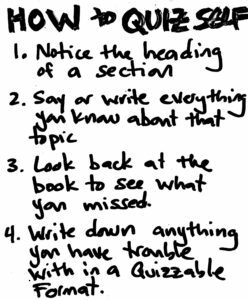 But instead, there’s a simple way to “practice retrieval” (a fancy name for “quizzing”) while you’re reading. It’s easier for me to tell you about it rather than write about it, so check out this video. 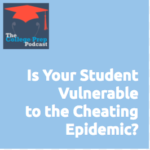 212: Is Your Student Vulnerable to the Cheating Epidemic? Cheating is on the rise in high schools around the country! Megan has been observing this in the reports coming from her clients’ and her daughters’ school. 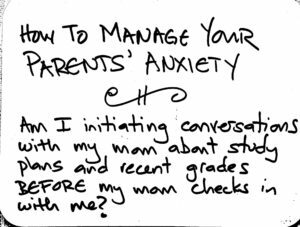 Questions parents can ask their students to make sure that students have thought through impulses, consequences, and alternatives to cheating as a way to raise grades. Tune in as Megan and Gretchen explore this topic in more detail! Do your teachers ever give you the essay questions far in advance of the chapter test or final? Many students don’t take advantage of this key resource. 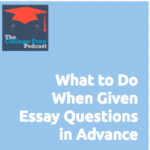 Take notes using the essay question as a guide. Listen in as Gretchen walks you through a few ways to use these advance questions to your advantage! Do You Get Bored Reading? 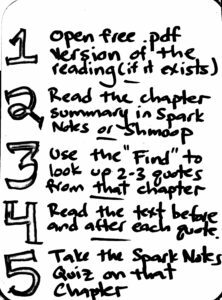 Try This Spark Notes Hack! English teachers beware! You are NOT going to like my tip for the day. A certain subset of my clients simply won’t read their English texts. They just won’t. No amount of cajoling, creative tips, and incremental steps will get them in the mood to tackle a hard text. Today a client of mine WAS willing to practice reading a text as long as I didn’t expect her to read the whole text, and as long as we used a variety of online resources to support her. In the following video, I walk you through the 5 step process that she and I came up with, and then I show you that process in action by sharing my screen. I know the solution is not ideal, and ultimately we want students to have the stamina, attention and grit to sit with difficult intellectual material. However, especially students with learning differences, we also need to meet students where they are, acknowledge that they have had traumatic experiences with reading in the past, and offer them incremental doable steps on the road to tackling difficult academic tasks. I’m excited that MY CLIENT is excited about this process, and I believe it’s a whole lot better than ignoring the reading completely. Let me know what YOU think, and I’ll keep y’all updated with how it goes with this student. If you do not have the time to watch the video the image below describes some of what I talked about in the video to help you with assignments you are having trouble reading. And if you feel you could use some help getting your homework done each week, please consider checking out my course, The Anti-Boring Approach to Powerful Studying. Do you ever struggle to read complex texts that your teachers assign? Some students really depend on HEARING texts to understand them better. Luckily, we live in a day and age when it’s super easy to convert text to voice, and in this video I’ll show you how one of my clients does it. Do you get a ton of notifications on your phone 24/7? If you’re an avid follower of my newsletter, you may have noticed that recently I’m working with more and more of my clients to turn off many of their notifications. Not all of them take me up on it, but those who do notice some surprising results. In the video below, I explain what one 15-year-old is discovering about her new life without as many notifications. Everyone hates to study get my step by step system to getting the grades you want here! 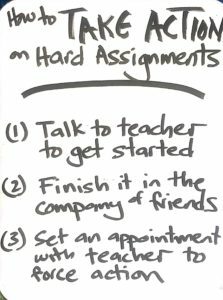 One of my main tasks as an academic coach — other than to help students study more effectively — is to help teens with learning challenges figure out how to follow through on tasks that feel insurmountable. This week a client of mine reported with such pride that she’d actually finished — and turned in on time! — two history assignments that have been torturous in the past. I asked her what worked for her, and the tips that poured out of her mouth were so spot on, I couldn’t help but share them with you. By mid-semester students’ time management routines have often weakened or collapsed. First, do you have a weekly planning routine? This can be a helpful Sunday task to help you look ahead and plan for the week ahead. Second, do you have a daily routine to do right before and after your homework? This can be helpful to make sure you are adjusting your weekly plan as needed, with every new assignment your teachers give. Third, if the daily routine doesn’t work for you, are you doing a midweek check-in ritual? 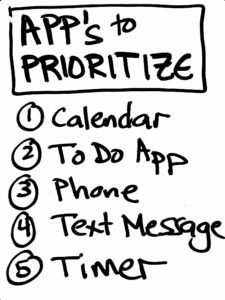 This enables you to check off items from your To Do list, add new items, and make a plan for the weekend, so that you take action rather than procrastinate during your “off” time. Finally, do you have a plan for accountability? Who else besides you can know about your plans and help make sure you feel a low-grade pressure to follow through? 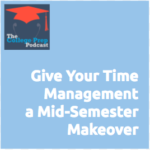 Listen in to learn how to revamp your time management skills. Believe it or not — raising your reading comprehension scores on standardized tests is often not about improving your reading skills! Practice reading challenging material (fiction, non-fiction, archaic rhetorical style, complex scientific, detailed, etc. 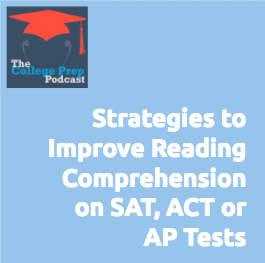 Listen in as Megan outlines surprising skills to improve if you want improved performance on reading comprehension of your tests. 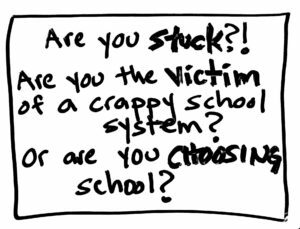 How much can a student’s behavior truly change after a semester of coaching? 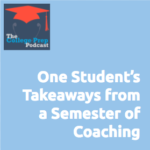 In today’s episode, Gretchen walks us through a sixteen year old’s reflections about how he has grown as a result of academic coaching. 7. Take advantage of meds before they wear off. 8. Marking period supply clean out. Tune in to the episode to hear more about each of these take aways! The national average of number of AP classes taken by students admitted to top universities is five to eight total. That’s a lot! 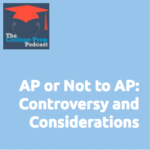 Deciding whether to take (or not take) Advanced Placement classes is more complicated that simply taking as many tests as possible. The fact that AP classes (and the AP exams) can push students to learn at a higher level, which is great prep for college! What does your family hope to get out of an AP class– higher learning, AP credit, boost to school GPA / rank, better teachers, taking class with peers, etc. What will the student have to give up to take these classes? 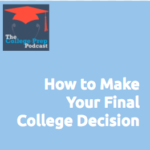 Listen in about AP courses to see if it’s right for you! Do you ever struggle to take action on important school tasks on weekends? I certainly do, and I’m 44 years old! Imagine being 16! Recently a client revealed that she’d had another weekend of just “laying around”. She knew she had work to do, but she just couldn’t do it. We realized that one of the problems was that she hadn’t made a detailed enough plan for exactly what needed to get done. Check out this video, where I compare the plan she had made with the plan she probably SHOULD have made. If you need more study tips and ideas on how to plan your weekends and get things done for your school week ahead have a look at The Anti-Boring Approach! 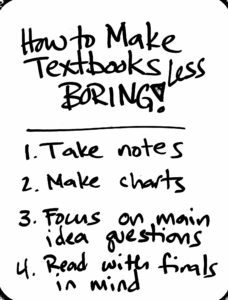 How to Make Textbooks Less Boring! Do you ever find textbooks supremely boring to read? I asked my client this the other day, and he said, “Well, not if they’re science. But everything else, yes!” This client — a high school senior — is taking a college class on Western Civilizations, and their textbook is large and unwieldy. Henry and I spent 20 minutes figuring out a process to help his reading assignments be more, well, “anti-boring”. Check out the video to get a demo of how we did that! If you are a parent looking for help for your child or a teacher looking for study tips for your students take a look at The Anti-Boring Approach!